Asking parents to steer clear of “unreal expectations from children”, Prime Minister Narendra Modi said Tuesday they should not treat their children’s report card as their “visiting card”. 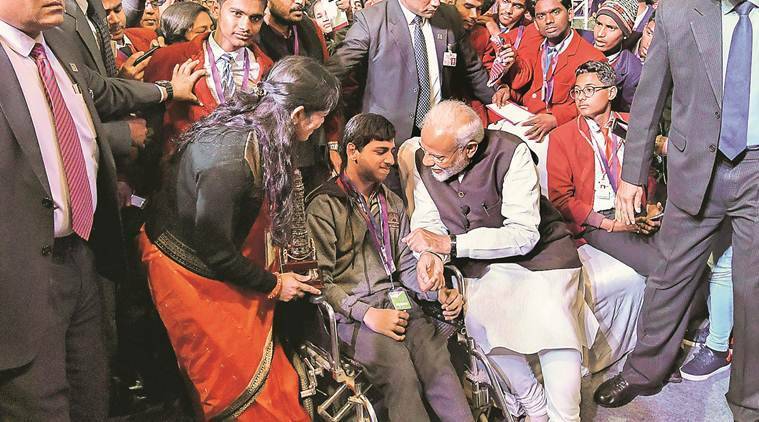 In response to a question on high expectations, the Prime Minister cited a Gujarati idiom: “Nishaan chook maaf, Nahin maaf nichu nishaan”, to state that while missing a target can be condoned, there can be no excuse for setting the target too low. With board examinations around the corner, Modi also shared tips to help students handle exam stress. Responding to a query, he cited a poem by Hindi poet Gopaldas Neeraj.